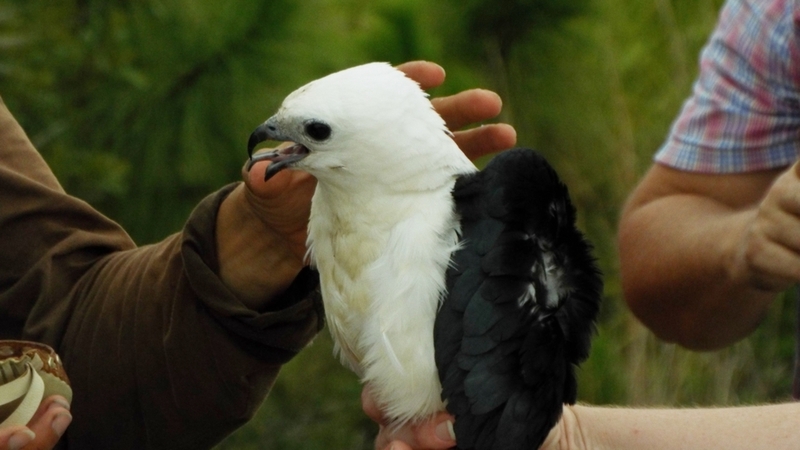 Sarasota, the tagged swallow tail kite is back home again in the Carlton Reserve after his winter in South America! 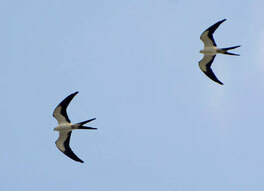 learn more by clicking on picture. 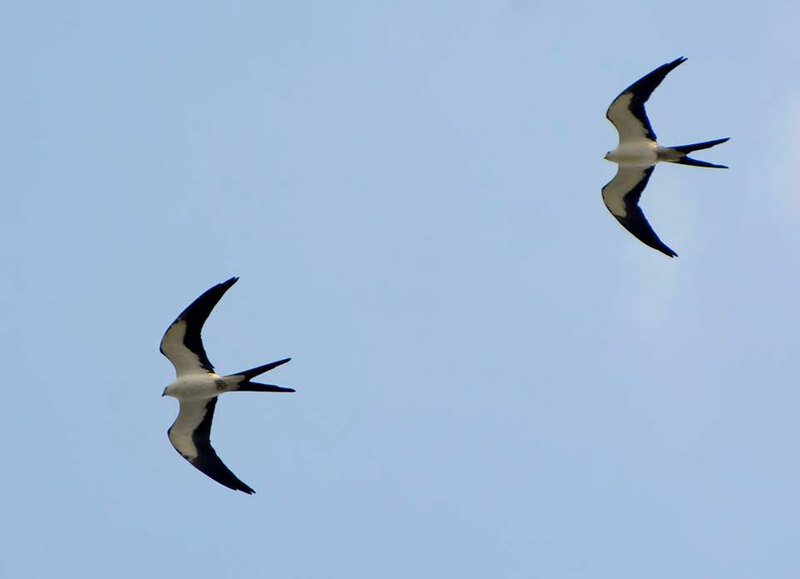 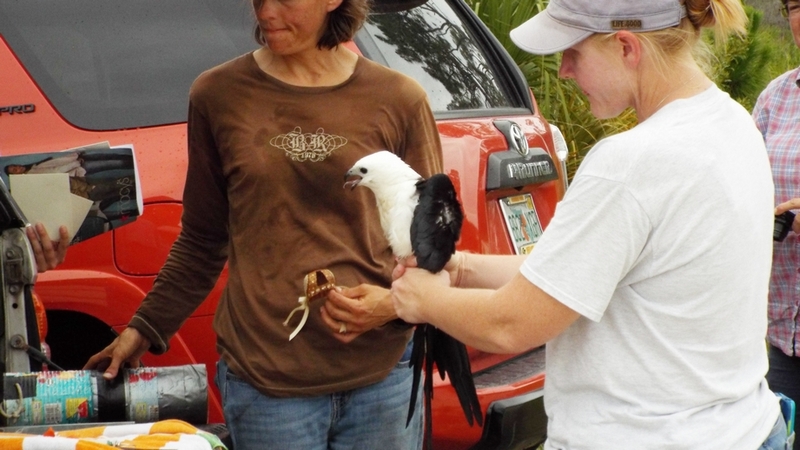 Friends of the Carlton in recent years have been helping fund Swallow-tailed Kite research with two grants totaling $1200. 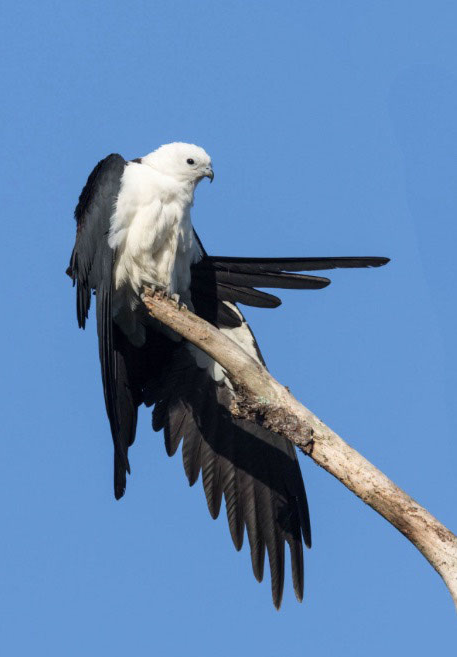 The kites have been sighted nesting in the Carlton Reserve. 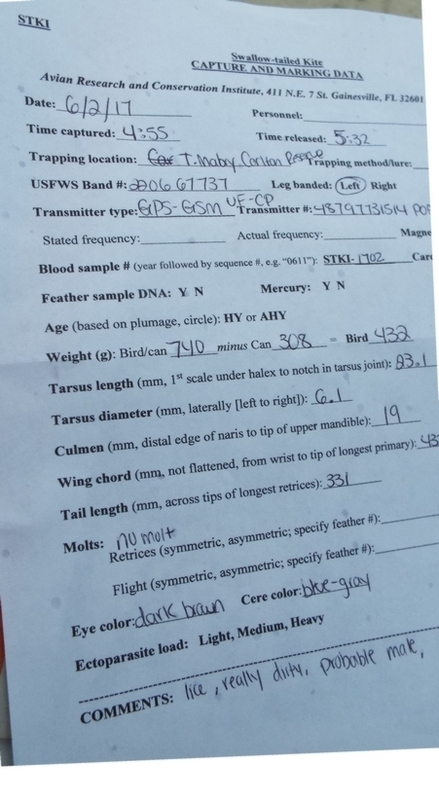 The Avian Research and Conservation Institute (ARCI) has attached tracking devices to two birds from the Carlton. 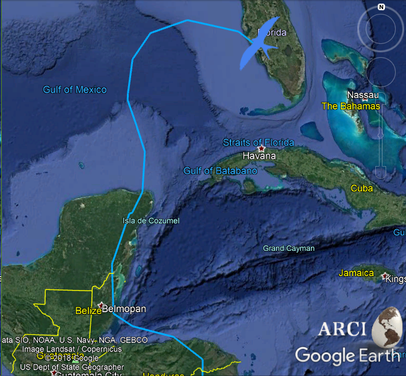 View maps of their flights to Central and South America and read more about ARCI on the web at ARCI or on Facebook. 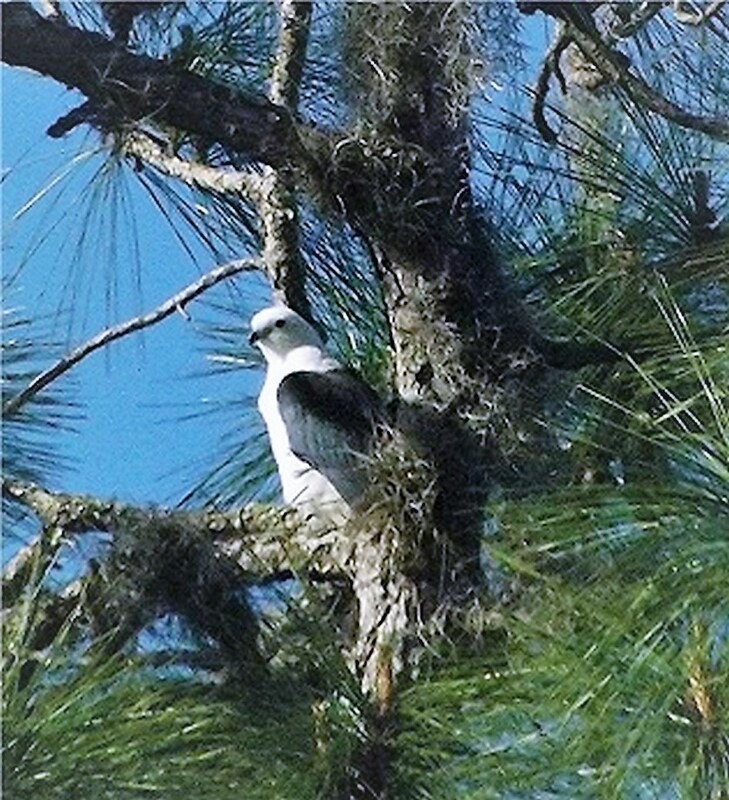 "Carlton" is the name given to the swallow tailed kite tagged in the Reserve June 14, 2016. 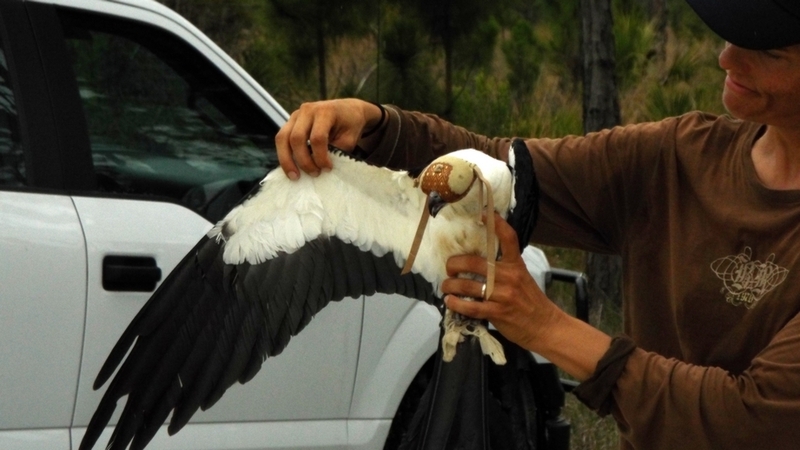 Another kite tagged in 2017 was named "Sarasota." 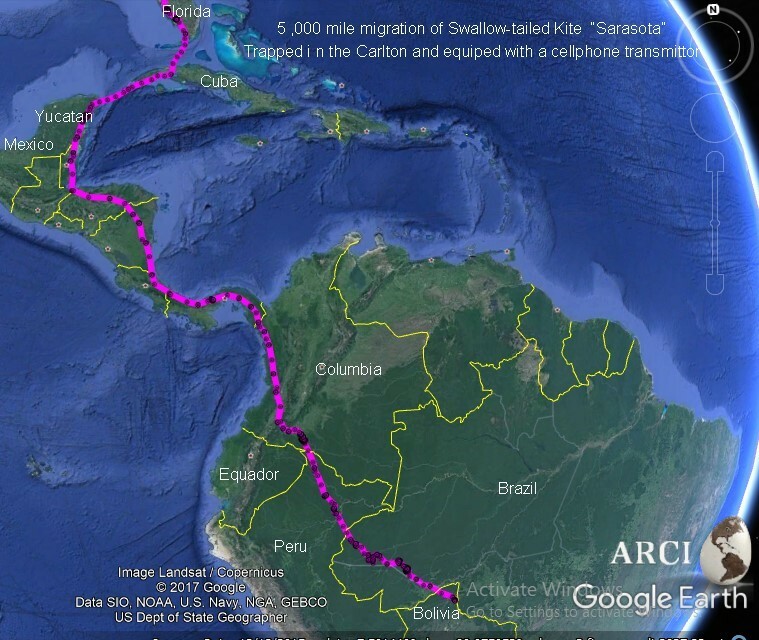 Local Audubon groups and the Friends of the Carlton and local Audubon groups donated $2000 to help track and these birds as they migrate 10,000 miles through Central America to and from the rainforests of Brazil. 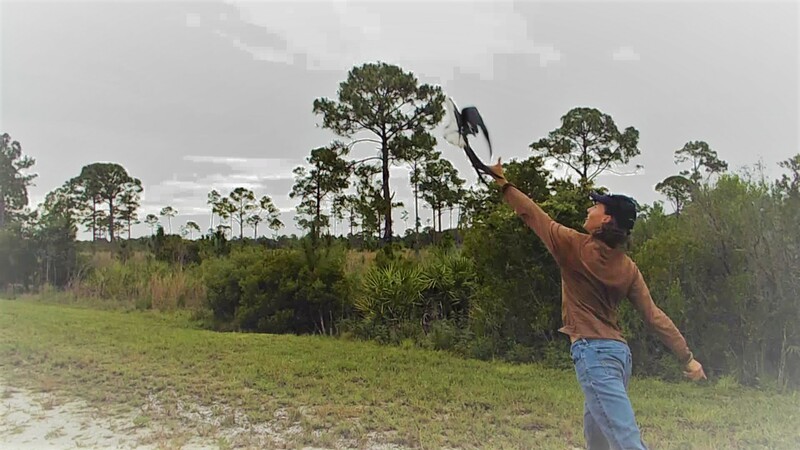 The T. Mabry Carlton, Jr. Memorial Reserve was purchased in the 1982 for public water source and for conservation of open lands and passive recreation that is environmentally benign. 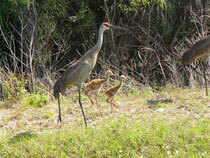 It is part of the Great Florida Birding Trail and home to over 150 species of birds. 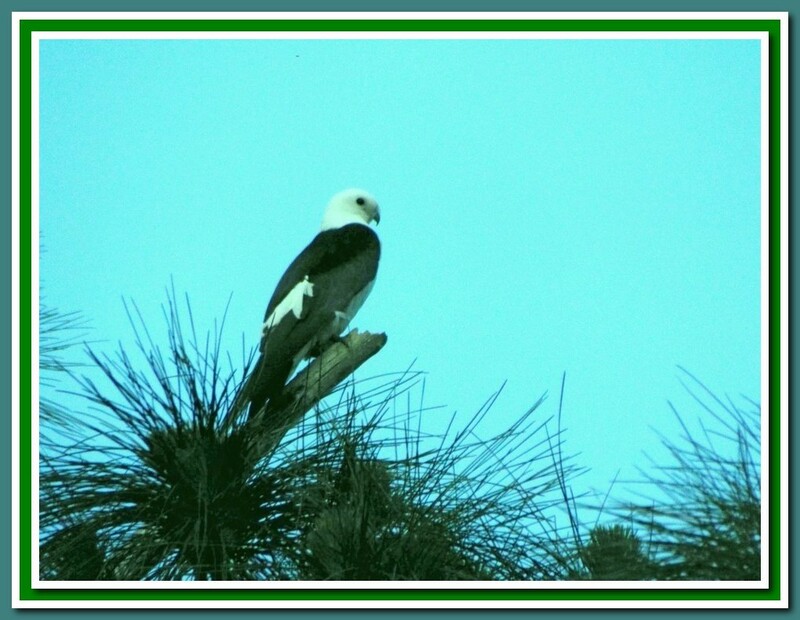 Go To Sarasota County Events Calendar to find guided birding activities or visit the Carlton anytime and explore fine birding opportunities in a wilderness environment that abuts the officially designated Wild and Scenic Myakka River.